Aiming to make a significant contribution to the changing environment, for the better, G.p.s. 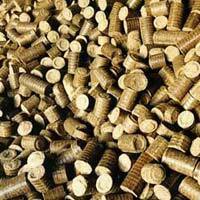 Kansal Industries brings to the market a wide range of Biomass Briquettes. The company a Manufacturer and Supplier has been associated with the production and supply of these briquettes, using resources that are precise and efficient. With the aid of a well-managed infrastructural facility, work force and material, we have managed to create a strong client-base for ourselves. We offer these Biomass Briquettes in bulk or desired quantities, to different industrial sectors with requirements for alternate energy sources. Our company offers these products with the assurance of high quality and usefulness.